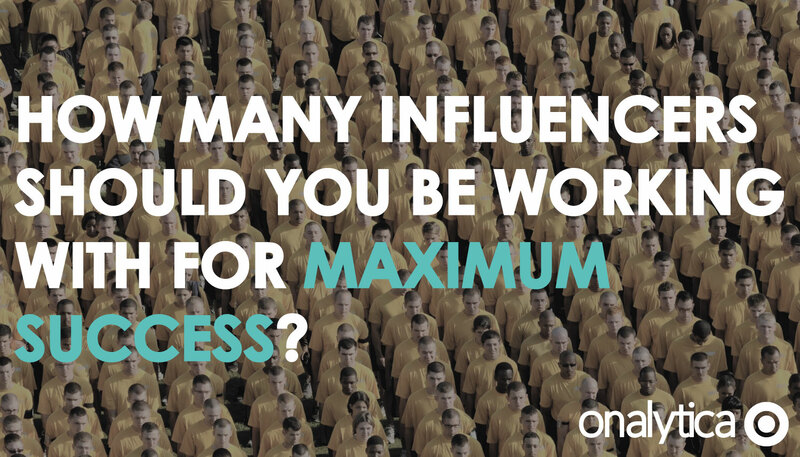 How Many Influencers Should You Work With for Maximum Success? Understanding and outlining the above variables is often your first battle. Influencer marketing is still considered to be a new strategy; it’s often deemed an unproven investment from sceptical traditional senior management, so getting a plan together when you have no idea how much you’re going to be able to put into it is challenging. Thankfully, we can come to the rescue here to shed some light on what a year’s worth of success has looked like for us from our experience of running over 1000 influencer programs across B2B, B2C and not-for-profit sectors. From mommy bloggers and beauty bloggers to tech and finance experts – we’ve done it. So, let us take you through the motions to better understand how many influencers you should be engaging to make your program successful. Are you going to be financially compensating your influencers? You can better answer this question with an understanding of the types of influencers you want to work with (we will cover this topic more below). But if you are compensating your influencers, you might get some ‘quick-wins’, but you’re also going to experience some limitations in how far your budget can stretch. Another thing you need to consider is whether you will be investing in some kind of influencer marketing software. Whether this is a software that takes away the logistical burden of giving influencers briefs and payment (more relevant to influencer advertising rather than organic influencer marketing), or whether you’re investing in a relationship management platform like our IRM software, that enables you to scale and build more relationships, efficiently. Both options will increase your overall financial investment but will save you time – meaning you can do more in less time. Influencer marketing isn’t possible without the team to make it happen. To put it simply, you’re going to achieve far less if you’re a team of 1 just starting out and spending 10% of your day on influencer marketing, than a more mature team of 3 whose jobs are 100% dedicated to influencer marketing. So, look to your team and see what’s possible to get a better understanding of what you can achieve. The bottom line is that no matter how large or small your investment is, you CAN achieve success; but the more you put in, the more you will get out. Are you looking to engage more, smaller, ‘micro’ influencers (e.g. 10 influencers with less than 2,000 followers, or fewer big-time professional or ‘macro’ influencers (e.g. 1 influencer with 200,000 followers)? If you’re going for the latter, then you’re entering a scenario where the influencer is more likely to expect some financial compensation- but not always (e.g. a professional influencer may require payment to attend an event). The former influencers are far easier to engage and build relationships with organically. If you are paying your influencers, the transactional nature does mean you are likely to on-board influencers quicker in the short-term, but less of them in the long-term. Micro influencers may be slower to on-board if you’re engaging them organically, but long-term, you’re likely to have more brand advocates and more influencers from the wider community as a part of your program. Different influencer types will create different types of content too and have varying levels of collaboration – some may be more time consuming and labour intensive on your part than others. For example: asking an influencer for a quote is far less time consuming than filming and editing a video with an influencer. You’re going to have much greater success if you’re identifying and engaging influencers that are relevant to your brand and its projects. If you’re reaching out to the top beauty bloggers of the moment to test and promote your enterprise software platform, you’re not going to have much luck. But if you reach out to some tech influencers, or influential small business owners, you might just get lucky. Getting this right first time will save you time and mean your longer-term successes are far greater. Engaging the right type of influencers also makes content collaboration far easier if you’re able to refrain from using too many restrictions and instead trust their expertise and to an extent leave them to it. Not being blind-sighted by follower numbers and instead identifying influencers that are totally relevant is a struggle for many brands and a key area that we at Onalytica can really help with. Our influencer identification methodology identifies influencers not just based on reach alone, but how relevant and authoritative they are on a topic that the brand cares about; how often they’re posting about it and how much engagement they’re getting on that content. To add to the above point, it is important that when you approach influencers, that you understand them and what is going to interest them. If they produce lots of fun and exciting video content over written content, do not approach them proposing that they collaborate on a white paper with you. When it comes to topics – make sure it is a relevant topic that they know lots about. If you’re approaching lots of influencers with the wrong opportunity for them, you’re going to get lots of rejection and hinder your progress. Equally, approaching the influencer with a total blank canvas and no idea on how you want to work for them is a turn off for influencers. But it’s not just about the proposition itself, it’s also about the execution. You may approach an influencer with a great opportunity, but if you’re lacking professionalism, empathy and most of all personality they may turn you down. Show the influencer some appreciation, show them that you’ve done your research and that you ‘get them’; clearly articulate the project and build a relationship. The picture is much bigger than the influencers you want to be working with directly. 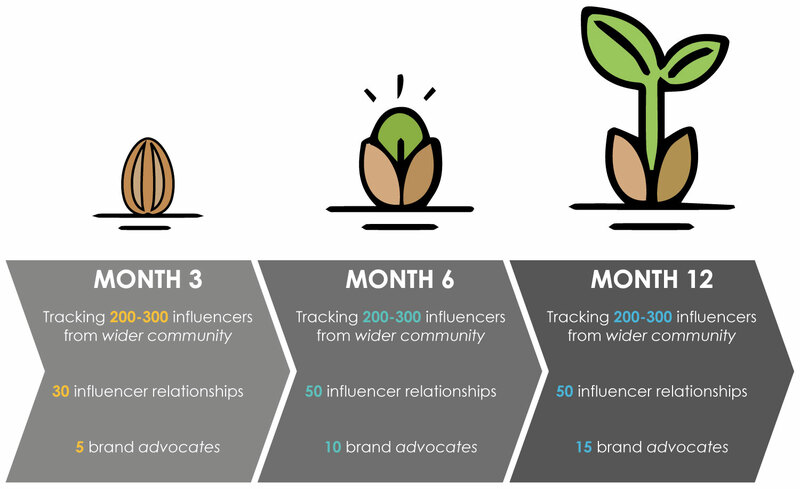 When starting an influencer program, it’s important to identify and map out the wider influencer community first to understand who’s leading the conversations and who the key connectors are. Doing this enables you to strategically identify which influencers are the best fit for your brand that you should start actively building relationships with; the influencers whose audience and content are well aligned to your brand. But it doesn’t stop there. 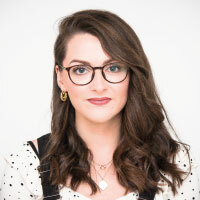 This is also a social media listening exercise in which you continue to monitor the wider influencer community, tracking trending topics to understand what the influencers are talking about, the way in which they’re talking about it and the type of content they’re creating and sharing, so that you can feed these insights into your content strategy. You can also see how your share of voice is increasing amongst the influencer community, and to continue to slowly build relationships with even more influencers. 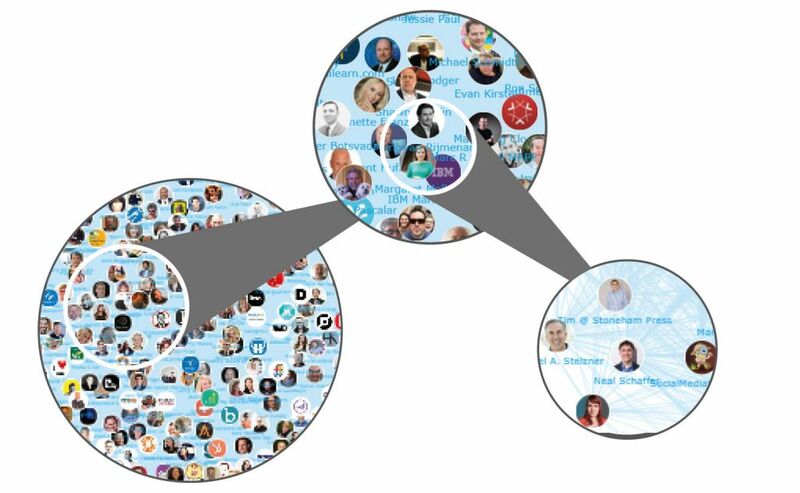 This enables you to continue to consolidate influencers through the pipeline. These are the influencers from the influencer community that you’ve identified as your key engagement targets, that you’re actively engaging with and trying to build relationships with. They will be at varying levels of ‘warm’ and may or may not be engaging back with your brand handles and creating content with you – but these are the objectives in mind. These influencers are the true success stories of where your dedication and persistence has paid off. You’ve built a relationship with them and collaborated with them to the extent that they actively advocate your brand over your competitors. At this stage, it is great to look to their immediate network and who influences them to find some more opportunities. You will see in the below diagram that some of the numbers remain the same, despite the program maturing – the only numbers that have increased each time without fail are the ‘brand advocates’. The reason for this is that the aim of the game is always to build a larger army of brand advocates that are going to fight your brand’s corner and sing your praises. However, when it comes to the wider influencer community you’re tracking and the influencers that you’re building relationships with, you need to work within manageable numbers. So, fight the mentality of ‘if you throw enough mud at the wall, some of it might stick’ approach and instead think ‘quality over quantity’ (although, if executed correctly, you can achieve quality quantity!). As influencers begin to progress through the influencer pipeline, we can consolidate the previous stage. For example: once more influencers move from the wider community into the relationship building phase, we can consolidate the wider community to track yet more influencers. Equally, as more influencers progress into brand advocates, we can begin to look at their influencer communities and consolidate the wider community. We have based these numbers on the assumption that you’re starting off your program with 1 relationship manager. Of course, if by the time you reach month 6 or 12 and you have either more team members or your work-load becomes more focused on influencer marketing, then you may be able to track more influencers in your program and build relationships with more influencers – but these are good magic numbers to shoot for. A content campaign – are you writing a blog post or publishing a white paper that influencers can contribute to? Something as small as a quote from the influencer can speed up the process of getting an influencer on-board. Events – if you have an event coming up that you can invite influencers to either as guests or speakers, this is a conversation starter and a way to get the ball rolling, meet your influencers face-to-face and instantly add credibility of your event. It’s also an opportunity for the influencer to share content with their audience and increase your brand awareness. Product – any new product releases or product updates where you can involve influencers in the development, testing or promotion. If you’re interested in speaking with one of our consultants to outline the results that you can achieve in your influencer program, get in touch by clicking the button below.